In today’s competitive world, change is constant! Every product or app has to respond to that change for better customer expectations. IT systems that support these products or apps are becoming more and more agile to accommodate these changes. Teams are becoming cross-functional, sharing responsibilities, increasing collaboration and changing culture within an organization. Earlier, we have seen teams where everyone is focused on only their part of the job. In the fast changing world of agility, responsibilities are changing for resources. Teams are working together; taking shared responsibility, sharing knowledge and working together during critical times. To improve that culture, DevOps has played a major role. DevOps is not a product, it’s a culture or movement that requires collaboration between Development and Operations. Continuous Delivery (CD) is a set of practices and methodologies, where a software is built in such a way that it can be released to production at any time and in any environment. CD provides immense benefit to organizations by increasing their confidence and ensuring reliability in software releases. It is an extension of CI – Continuous Integration. CI mainly deals with build to test part of the development cycle for each version of a product. With continuous delivery, any change in code that passes the automated tests can be treated as a releasable product. The main goal of continuous delivery is to make feedback loops shorter. From code changes to user acceptance testing to deployment in the staging environment, the cause and the effect can be observed early and codes can be passed through all the phases of testing and all the functionalities, including business logic. Though continuous delivery is a technical process, its benefits are significant. By adopting this lean practice, organizations achieve the shortest path from availability of new code in source control to deployment through automation. This can be achieved by excellent team collaboration, continuous integration, build automation, test automation and deployment automation. It minimizes time to deploy, mitigate or remediate production incidents, optimizes process time and eliminates idle time. Continuous delivery is important to agile practice, because an “always ready to release product” can get early feedback of released features and early response to customers. With manual process, software release cycle was too lengthy and after completion of this lengthy release process, if the product is not reliable then that may affect both product and end users, because they have to wait for this feedback after everything is complete. 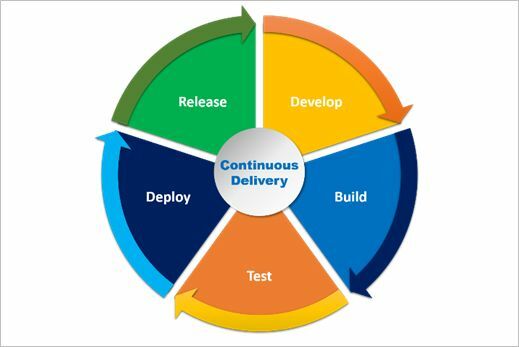 Continuous delivery plays a significant role in continuous integration and extends agile practice to any organization during implementation of DevOps cycle. CD helps an organization to adapt to the changes very quickly and change its business strategy as per market need. It increases team collaboration and ensures that teams work closely and cross-functionally to automate and streamline the build, test and release cycles. It ensures shorter iterations with minimized cost and risks and increases possibility of doing frequent releases as per market needs. Some of the major challenges of implementing continuous delivery are – adopting DevOps culture within the team and setting up feedback at every level. Developers may use simple function test scripts for example, Selenium script to get instant feedback of functionality, performance, UI and API of their code that they have developed. The DevOps team will have to set up continuous integrations successfully in order to get early feedback of build failure and testers need to do test run in parallel in order to move the process very fast. Hence cultural shift in every team is very much necessary when implementing continuous delivery and in broader view, a DevOps culture in any organization. With the integration of several tools – build, deployment and testing can be easily monitored. With its powerful reports and notification services, it can generate feedback for failure and success of any stages. Artifacts can be traceable at any point of time with its traceability report. Build reports and logs generated in tools like Jenkins can be visible from Kovair. Deployment execution and test execution can be easily tracked from the tool. Selenium scripts can be executed with a single button click. The delivery pipeline breaks down the software delivery process into different stages. Each stage verifies quality of new features and validates functionalities to prevent errors that may affect users. Continuous delivery pipeline is the process of building, testing and deploying software in shorter cycles. The software proceeds through this cycle and is thoroughly examined for weaknesses before proceeding to the next phases. Build Automation and Continuous Integration: Developers implement new features and for that they check-in their codes in source control management and that code is built and unit tested. This is the most direct feedback they receive about their code via this process. Test Automation: In this phase, the software is tested rigorously in order to ensure that it meets all the desired requirements and system qualities. Testing of all functional and non-functional tests are verified by the pipeline. Deployment Automation: Deployment is needed when a version is added or modified or a feature is added or some bug fixes are done in any software, but the most critical part of any deployment is rollout time. This can be further divided into staging and production environment with new versions being released to staging first and monitored before being completely rolled out to production. 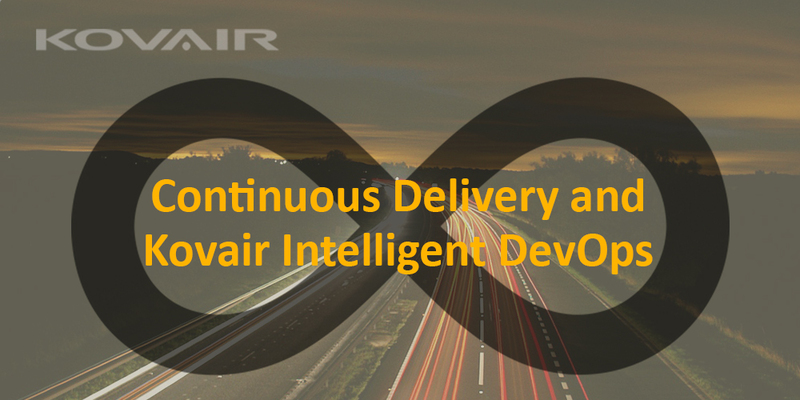 Kovair Intelligent DevOps follows the same pipeline stages to establish successful delivery of any product. With Kovair’s delivery pipeline, a software can be deployed on the premise or cloud or on platforms like Windows and Linux with ease. Using CI tools like Jenkins or Team City, the development and the build environment are integrated and automated. Builds can be triggered from Kovair itself by a button click or commit in a version control system. The source code can be kept in any source control management tool like TFS, GitHub or SVN. With the integration options like Azure, Chef and Puppet, deployment of software is made easy with this pipeline. 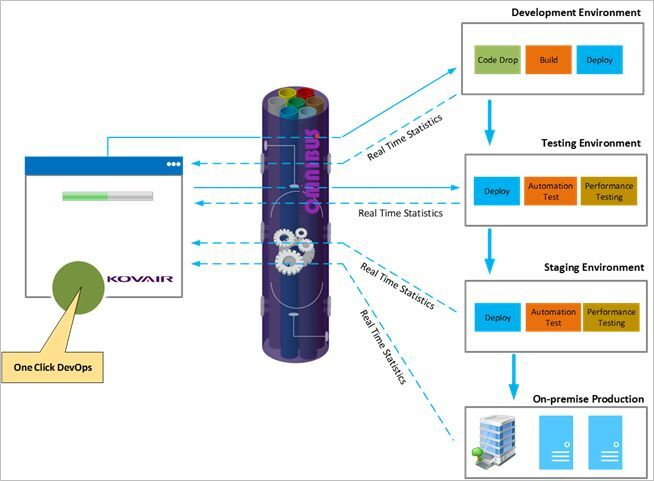 Benefits of Continuous DeliveryContinuous DeliveryDelivery PipelineIntelligent DevOpsWhat is Continuous Delivery?